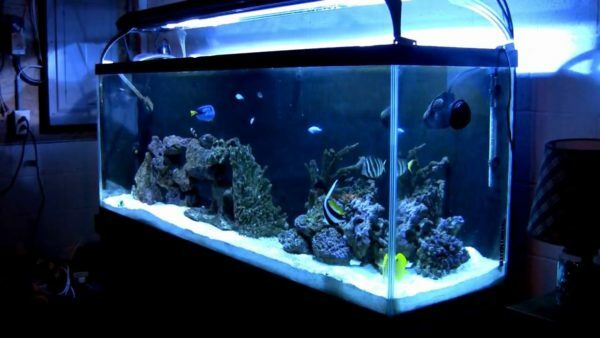 The main difference for the three types of saltwater tanks is usually determined by the inhabitants of the tank. When it comes to stocking of the saltwater tank, there usually immense possibilities more than just fish alone. Salt water tanks can also be decorated with live rock that will be placed together with the fish in there. There are just so many benefits to placing fish with live rock in the same tank as opposed to placing fish only in the tank. The term live rock means rocks that contain a number of microorganisms and algae that live on them. It must be said that there are numerous benefits of having the small organisms and algae. One is that these organisms serve as a means of natural filtration thus helping to keep the tank water clean. Of course setting up a fish with live rock tank comes with additional costs but the benefits can be considered to be proportionate. 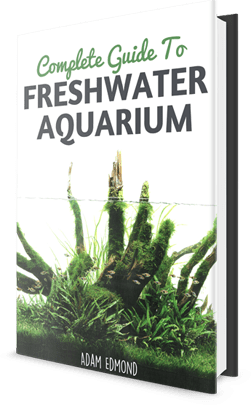 Setting up a Fowlr tank is perhaps one of the most challenging tasks for an aquarist especially if it is a beginner attempting for the first time. When planning to have fowlr tank for the first time and especially if you are a beginning aquarist, it is best to go for a bigger tank. Bigger tanks contain more water and more water means that you have more chance to correct mistakes before it is too late to salvage anything. If you have a small tank for instance, any chemical imbalance will be disastrous while the large tank the chemical would simply be more diluted and thus a little harmful. Having a high quality system set-up for filtration purposes in a fowlr tank is advised. This together with a protein skimmer usually helps to keep nutrients in control. When choosing a filtration system for your fowlr tank it is best to use wet/dry filters but even sump systems can still do the job. A good filtration system ensures that the water chemistry in the tank remains optimal for the survival of the fish and other living organisms there. A tank that has got better filtration system can hold more fish as well as more marine organisms that make it complete. Having a good filtration system set up on your fowlr tank can actually make your hobby lot easier and fun too. Point of note: The skimmer even though optional in various respects is important as other apparatus. Having a skimmer installed in your tank will help make controlling the water quality in your tank quit easy and cheap as well. When choosing a protein skimmer for your tank, it best to go for one that is able to process at least 1.5 liters the marine volume of your tank in an hour. In a fish only tank lighting is usually not that vital as is the case with a fowlr tank. This is because in a fowlr tank extra light is needed to help enhance the growth of photosynthetic algae and microorganisms that reside in the live rock. As a general rule, it is recommended that you offer between 1-2 watts light for every gallon of water. For those using lighting systems that are high-powered, an auxiliary fan is usually advisable to install to help keep things cool. As you stock the tank, do so over a period of time in a slow manner ideally in a period of several months. Due to the increased biological load in the tank, a little bit of patience is needed in order to get things right and correct. Any rush to do things can end up catastrophic for both the fish and the tiny microorganisms that live in the tank. Lighting the aquarium for a period of at least six hours when you get home is advisable. You can use halide bulbs that are of 10K – 12K of low watts to get the job done perfectly well. Even though water circulation may not be very important in a fowlr tank, if you are using live rock in the aquarium it will be good to ensure that there is sufficient circulation that will help to ferry nitrogen waste towards the rock. Without proper water circulation in your aquarium this may not be achieved. So, essentially having water flow and circulation working well in the aquarium of course will come with lots of benefits. As you set up your fowlr tank be keen on the water that you go for as your source water and just ensure that it is good quality. This will help you keep your tank water manageable and easy to deal with. Your source water should be checked every single day to ensure its quality. It is best to just add two pounds of live rock for a gallon of your aquarium water although this number may be higher if you have a reef system. This due to the fact that the nitrogen waste load is usually a little higher in the latter setting. For the beginner hobbyist having a substrate that is layered to not more than one-inch is advised. However, if you are going to have to keep a large fish livestock, having a bigger substrate is good. The bottom line for substrate placement will however boil down to the kind of fish that you will be keeping in the aquarium. The Fowlr Tank or simply fish only with live rock is a kind of aquarium where fish is kept in a tank that has got live rock. The water in the tank is usually marine water that is saltwater and therefore the kind of organisms that stay there must be those that are adapted to living in saltwater.